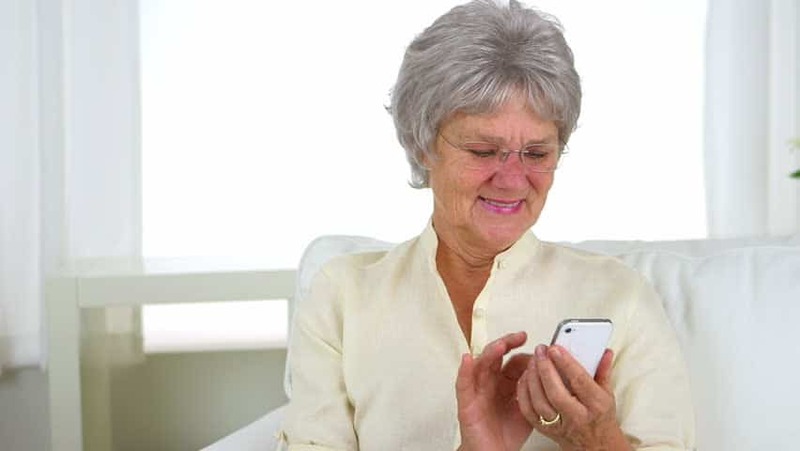 CareClinic is the gold standard in medical adherence technology, it is no wonder our app has been used by over 100,000 people and recommended by Doctors everywhere. Don’t settle for less when it comes to your health. Knowing which pill to take, when to take it and taking the correct dosage can be difficult. It can be even more difficult if you are responsible for someone else’s health as well. 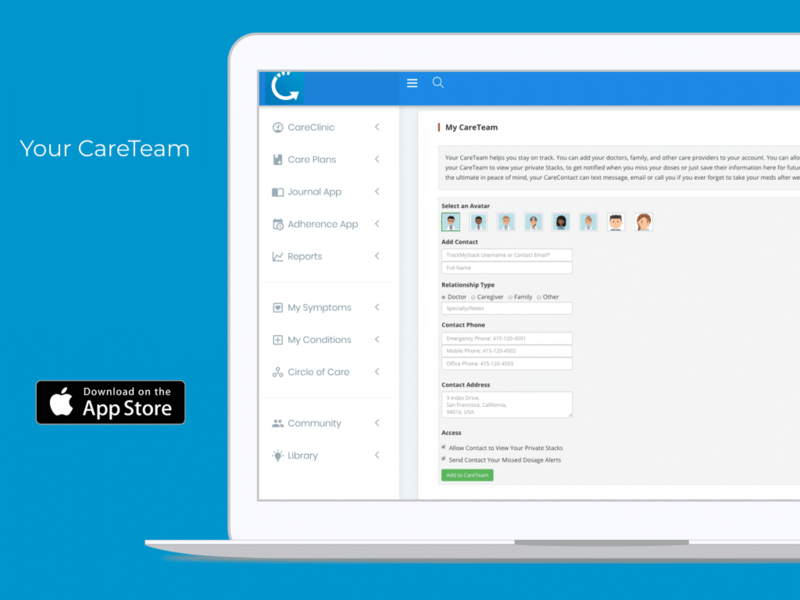 CareClinic can be used to track the most advanced treatment plans for the whole family. Have the ability to quickly select the exact type, color, size, dosage of any medication, supplement you may be taking in any form. You may additionally add branded or generic versions of any drug and supplement as well. Have the power to quickly differentiate between the pills you need to take. Set reminders for the plan you have made, whether it is weekly, daily or even hourly reminders. Have full flexibility as to what to take and when. 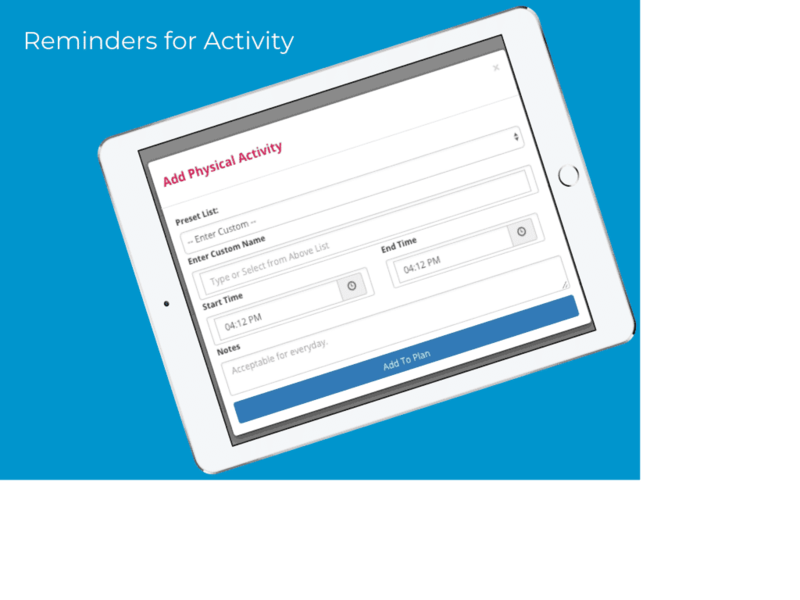 Take it a step further and record side effects, purpose and effectiveness for individual drugs or your entire care plan. Pill reminders can be sent to you in a multitude of ways to improve adherence. When reminders are marked as Taken, Snooze or Skip as you wish. When you mark pills as taken, we keep a detailed log of your actions so it can be reviewed at a later time. See how you’ve done or print a copy for your care provider to avoid recall bias. You can pause reminders on any medium at any time and resume them later without having to re-enter reminder details. No Longer Taking the Pill? No Problem. Mark it as No Longer Taken, save it as part of your health record for reference. Set Refill reminders to be sent based on your current supply or have reminders sent on a periodic basis. Your care plan can include therapies, physical activities and nutrition, all of which can have separate reminders that may be set just like pill reminders. Use it to track the consumption of water, CBT, LLLT, exercises, cryotherapy, the choice is yours! 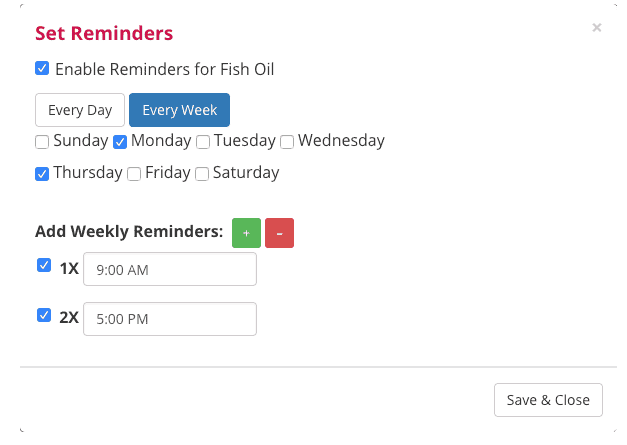 Manage Your Reminders Your Way! Your reminders can match your personality! Included with the app are many fun audio alarms that may be set. Don’t worry you can also set reminders to work in vibrate mode as well. The notifications can also be tweaked for additional privacy. Managing a complicated care plan? 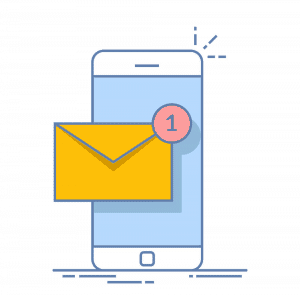 Although we have made the mobile app for iOS and Android simple to use, you have the option of using the full suite of tools available to track your health on the web through your browser as well. No download is necessary to get started or to continue to manage your care plan on the web. Teamwork makes the team work. Your CareTeam will also be sent reminders if you have continuously missed your medications. It is why it is important for you to consistently mark medications as taken when you take them. Members of your care team can include doctors, family, friends and other caregivers as needed. If your miss a reminder and fail to take your pills, we hope that a member of your team can help you stay on track. You don’t have to do it all alone. We provide safety suggestions when our machine learning algorithms think the dose is out of the ordinary. However, these suggestions are nothing more than just suggestions, you may use them to double check what you have entered is actually what you are required to take. Other suggestions include negative interactions between supplements and drugs. We take it a step further and provide beneficial synergistic alerts too that you may not have known about previously. However, All suggestions should be confirmed by a licensed medical professional. Want to see how you’ve been doing? Every time you mark medication as taken, it is recorded. 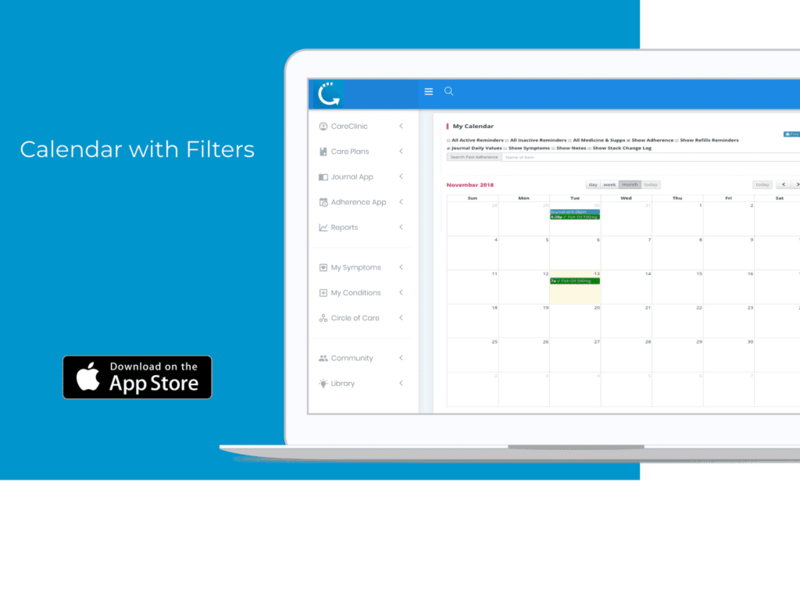 The Calendar functionality provide a good way for you to see your overall adherence, active reminders, inactive reminders, along with any upcoming reminders. Compare and contrast your results within charts as well, and discover triggers that can help your optimize your health going forward. People are using CareClinic to track their conditions, birth control pills and therapies. 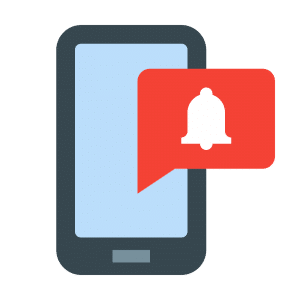 If you need to take multiple medications at the same time, and do not want to get individual reminder alarms for each, you may opt to receive a single reminder that informs you to follow a specific plan instead. Avoid information-overload. You may manually change or adjust your time zone if you are travelling to make sure you continue to take your drugs at the right times regardless of where you are or will be. All functionality of reminders is available on the web and mobile app for iPhone and Android for FREE. The app has consistently ranked above solutions provided by CVS, Walgreens, PillPack & Bayer and it is the reason we have hundreds of five-star reviews across all platforms. People like you are using our Pill Reminder app to manage their chronic conditions, symptoms, health disorders, contraceptives, water in-take, sleep, pain, sickness and more. So what are you waiting for?